The Luminox Steel Colormark concept is now available with built in chronograph. Given the outstanding success Luminox has enjoyed with its original Steel Colormark Series, it was only a matter of time before chrono versions were to be added. 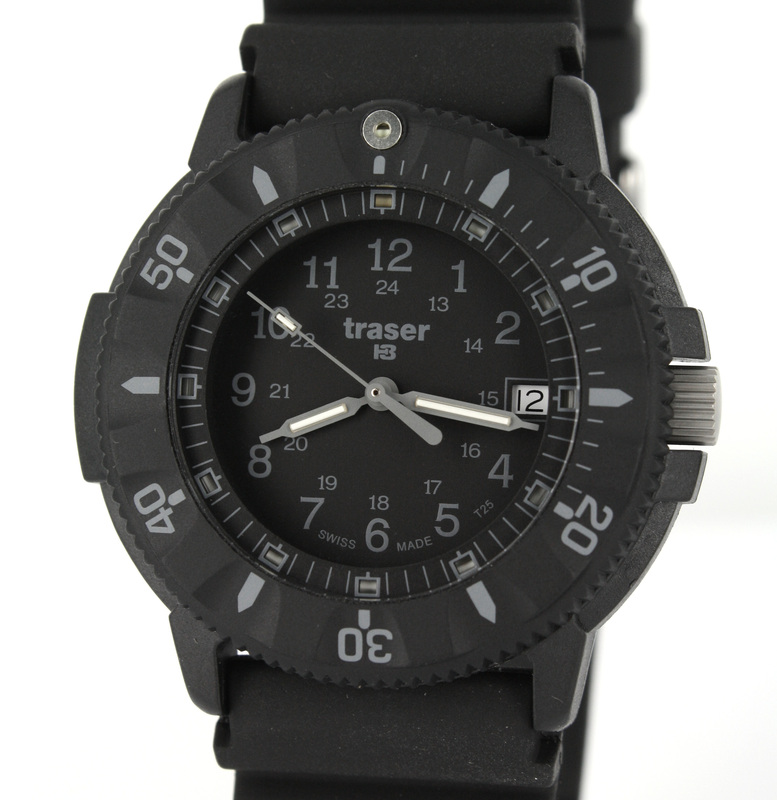 The series includes three different color options with a black rubber strap, a brushed stainless version with stainless strap as well as a black PVD coated steel blackout version. For over 16 years the Original Navy Seal watch has been one of Luminox‘s best sellers. The newest addition to the series, the 3001.BO, will also make an addition to the collection of Luminox BLACKOUT watches. 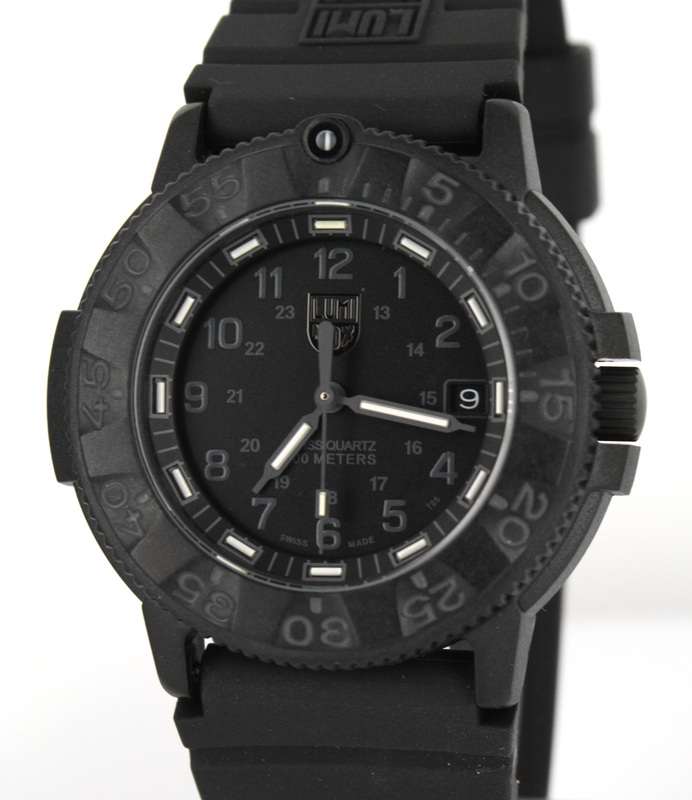 Luminox has taken some its most popular watch styles and created blackout models that offer the same functionality and durability that is expected from Luminox with a great new blackout look. Scott Cassell is an expert counter-terrorism operative and a consummate undersea explorer, someone who embraces danger and relies on Luminox timepieces as part of his Essential Gear. His exploits are undertaken with unwavering commitment to a clearly defined goal – the protection of the world’s oceans and their inhabitants. Luminox shares Cassell’s concern for the viability of the oceans, and is honored to partner with Cassell by helping to fund both of his organizations, Sea Wolves and Underwater Voyager Project. The Lumionx Scott Cassell Navy Seal Faststrap is packaged in a Lumionx dive mask case and includes an extra velcro strap, an extra rubber strap and a strap changing tool. Requested by and supplied to the U.S. Navy SEALs, the Luminox 3903 is ready to handle whatever you can through at it. 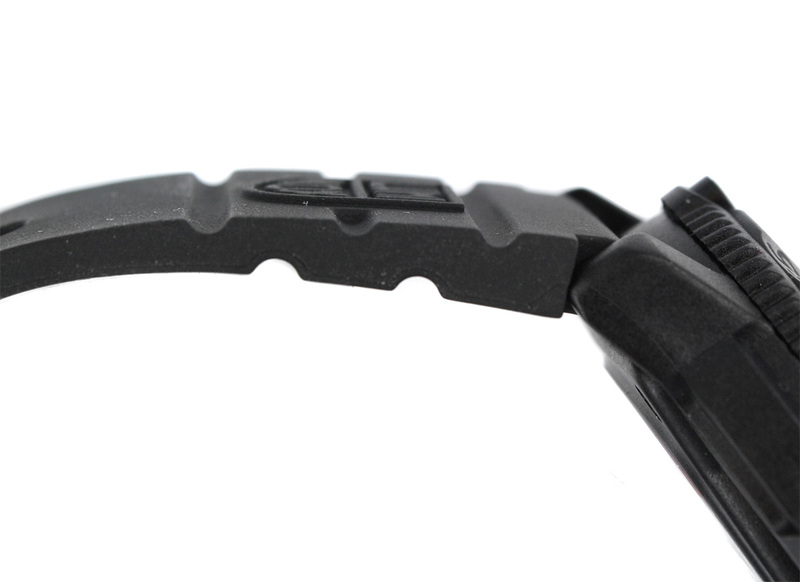 The Faststrap series includes a black velcro strap showing the Luminox shield on one side and the Navy SEAL logo on the other. Click Here for a closer look at the Luminox 3903 and more Luminox watches.